Pakistani media, especially electronic and to be more specific News Channels has been projecting and broadcasting the violent and brutal scenes over and over again making an event breaking news for many hours. That is effecting the image of Pakistan and Pakistanis a lot and spreading panic among masses. We appeal Chief Justice of Pakistan to take necessary actions to stop TV channels from such actions. This is an open letter to CJ of Pakistan and will also be dispatched on his, Chairman PEMRA, Federal Minister for Information and Broadcasting, and Associated Press of Pakistan offices. Subject: AN EXPRESSION OF CONCERN OVER EVER-INCREASING TRENDS OF SENSATIONALISM IN PAKISTANI ELECTRONIC MEDIA. Having heard a lot about your considerate self, I dare to take an opportunity in so far as to solicit your attention, despite I know that your goodself is pretty occupied with certain important issues as 18th amendment, NRO and the likely, to yet an essential matter. There is no doubt the mass media in Pakistan concurrently enjoys the essential freedom of expression. Due to ever increasing role of globalization, the significance of media has been unquestionably witnessed indispensable in all walks of life in general and human life in particular. 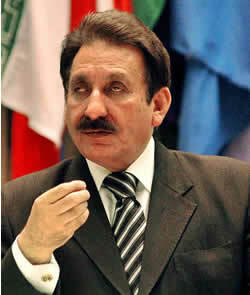 The recent developments in the promulgation of an independent judicial system in Pakistan clearly dictate that the very success in attaining and restoring ‘that’ independent measure owes a great deal to the media coverage of the undaunted struggle and sacrifice of the lawyers and the unflinching perseverance displayed by your highness — a history-making episode endorsed by your advocates! In the main, whether it is the geo-political or the socio-economical sectors the ones who are in a relatively better control of media exercise an impetuous sway in the affairs of the state. As the world powers happen to play proxy war in Pakistan and somehow maneuver to connive with local saboteur minded elements to perpetrate bloody acts of terrorism in multiple cities of Pakistan, it is obligatory for the mass media to condemn such acts and keep the public aware of their heinous designs and mould the popular opinion in the best interest of the state. The best defensive policy in such a situation, wherein own people are involved in subversive activities, is to do away with the ongoing frustrations of the downtrodden community, the most likely smoldering members of discontent, such as controlling escalating prices and substituting the power sector with alternative sources of energy and all these steps of the popular government ought to be given every possible transparent coverage by the media. Since the outbreak of recent acts of violence and terrorist attacks in Pakistan, the media has held it customary to give on-the-spot live coverage of the horrible scenes. One of the glaring examples that your goodself must have witnessed is the recent Sialkot lynching of two brothers by the provoked mob. Nearly all the TV news channels have been repeat-telecasting those brutal pieces of footage intermittently for many days to the extreme shock of the young and the old sensibility. Sir! This account is by no means a reflection on the characteristic responsibility of media to keep the public well informed on national and international developments; yet pursuing a third-screen bottom-line strategy for extended hours is not understandable. Some media persons seem to have garnered internal sympathies with the local terrorists and they try to give essential media coverage to their acts. This results in glorifying terrorism, their deadly acts and anti-state agenda. It has been speculated by some media anchor that about 50% acts of terrorism are going to curtail down provided the media doesn’t ensure coverage to their so-called heroic perpetration. It seems that the local media is being hijacked by foreign influence, most probably, through lucrative, behind-the-curtain financial and political patronage, and consequently jeopardizing the State’s healthy stance on democratic institutions because extended media coverage to the instances of atrocity at tactic level would certainly cause fear and harassment among the public in general and may eventually lead the state machinery to the inexorable clutches of our enemies who are backing a comprehensive media campaign to propagate an unstable image of Pakistan, the apple of the eye of the 3rd world and the sole Muslim nuclear power and in a larger perspective they are tarnishing the true image of Islam in the face of the world; this notion entails serious repercussions when it comes to the very Islamic ideology from where the emergence of this country takes its roots. So, as a sane human being, as a sane Muslim and particularly as a sane Pakistani I am pretty concerned! Besides it also gives the impression that Pakistan has been got into a warlike situation and causes panic in the public. This has resulted in discouraging both the foreign investors in Pakistan and the national and domestic economy is persistently being shoved into recession. Fear mongering is being promoted in Pakistani electronic media on purpose to manipulate the adherence and alignment of the public to achieve a desired end. The scared subject is at times made larger than it really is, and the tactics of scare-mongering are repeated over media round the clock to continuously reiterate the attention of the ‘plain folks’ to fear and propagate the designs of the agency backing a particular medium at a particular time. In view of the above submission I would like to earnestly appeal your goodself and through your kind patronage the exponents of a responsible, mature media to legally take up the matter with all the media outlets to desist from sensationalizing the events of panic in the country. Otherwise, the possible unhealthy public reaction may find its way in some reactionary legislation against the media as part of its side effect. Finally, I find no hesitation in mentioning here my pleasure that in writing the above account I have not been inspired by any political agenda — the matter is being reported to your highness exclusively in an individual capacity. It has been actually the over-whelming realization I conjectured from the day-to-day gloomy faces of the people around whose wholesome suffering image at length triggered me to convey this feeling just as an expression of concern for it’s my staunch belief that now people look up to you for vindication of their frustration! Your heroic struggle to safeguard the independent image of judiciary has appeared on the scene at a very precarious moment in the history of Pakistan — when the democratic institutional and the constitutional norms had been pushed to the verge of annihilation in this country. This has raised your figure among the public, as any sensible person can surmise, as the last ray of hope in the wake of on-going political scenario prevailing in the country. Consequently I should hope that the concerned judicial functionaries under your conscientious authority must rule out some legal framework to be strictly adhered to by the underperforming media personals. NOTE: Bloggers/Website Owners are encouraged to post this letter on their blogs/websites. I will appreciate if you link back to the original article. 6 Responses to "An Open Letter to the Chief Justice of Pakistan: Ever-Increasing Trends Of Sensationalism In Pakistani Electronic Media"
I totally agree with Mr. Zaheer and i expect that Chief Justice will take some serious notice of these activities taking place. Its the requirement of time. If we don’t stop it right now then it can be very destructive. That’s a good attempt. Very well written. Hope CJ notices it. Best of Luck Zaheer…..Hope concerned authorities will take some step to stop this. That’s a very serious matter and media should act seriously.